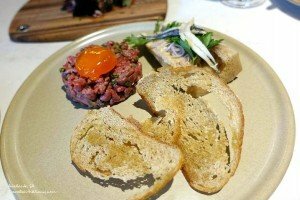 Coal Cellar + Grill is a new restaurant opened in Hilton Adelaide recently. As the name suggested, Coal Cellar + Grill serves a lot of grill meat and uses many traditional Australia native ingredients. However We decided that the mains they serve looked more quite unique and we thought we might give the Grill a miss this time. We ordered four different entrées and three different types of mains. Melbourne is the “Cultural Hub”of Australia. Every street and avenues are full of little surprises. 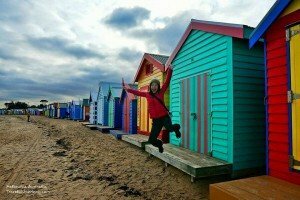 The most famous beach in the suburbs of Melbourne would be Brighton beach due to the Brighton Bathing Boxes. They are extremely colourful huts built in a row on the beach. It’s a must go place for tourists in Melbourne! 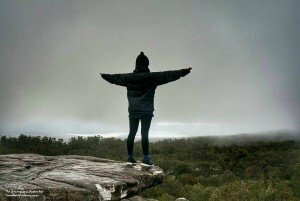 I have always wanted to go to the Grampians National park since I have been in Australia to see the beautiful scenaries, crazy rocks, amazing wildlife and famous aboriginal paintings. After four years in Australia, I finally have a chance to take my young cousin to visit this place during our travels from Adelaide to Melbourne. Grampians is roughly 500kms from Adelaide (5.5hours of driving) we woke up very early that day and made Grampians our first destination! 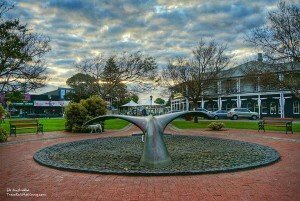 This was my first time visiting Victor Harbor, a coastal town about 80 km south of Adelaide. It is a highly touristy town where many people in South Australians come to in the summer months. One of the attractions includes whale spotting and the best time to do this is around June to September as it is their mating season and they return to the more secure shoreline. 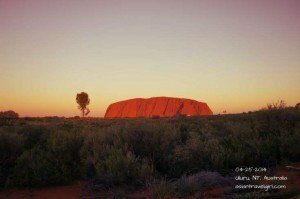 When the British settlers arrived in Australia, they took over and forced the Aboriginals out of the area and renamed Uluru into Ayer’s Rock. Many people attempted to climb the Ayer’s Rock and will accidentally fall and die. The rope on Uluru was placed around 1960s to make rescue missions easier for the locals. 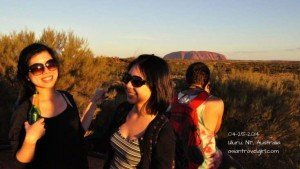 Not too long after, many people from all over the world starts to come to Uluru and climb the rock. The actual climb is only 2 hours; physically there is nothing to brag about (only 348m high), unlike climbing Mt Everest (8848m) where it is actually physically demanding. We woke up at 5.20am to watch the Uluru sunrise at 7am. 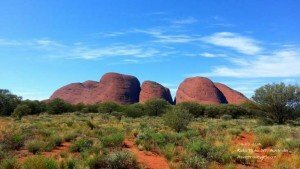 The Uluru-Kata Tjuta National Park is half hour drive away from the campsite. The actual name of this place is called “Ayers Rock Campground”, next to the campground there’s another hotel called “Ayers Rock Resort” for people who enjoy staying in luxurious places. Judging from their website, it looks like a completely different world. Today’s sunrise is still a distance away from Uluru itself, Leith said only when the sun goes over the horizon then we can have breakfast. After whole day of sitting in the car, at 4.40pm we arrived at our final resting station. We saw a massive mass in the distance that looked like Uluru. All of us got super excited and started snapping away. Leigh yelled to us saying that is Mt Conner, aka, “Fool-uru”. It may look like Uluru from one angle, but it is not. We didn’t believe him until we saw some random paintings outside the toilet walls with bald writing that says “Mt Conner”. Apparently Coober Pedy has the best filter water system in Australia due to the high mineral contents in the water. The water actually tastes quite good, much better than Adelaide. I guess the governments rather invest in good water filter system in the area than people dying. We filled up our water tank in the van with Coober Pedy’s water and chuck in some ice to make it icy. After dinner we went to “Josephine’s Gallery & Kangaroo Orphanage”. 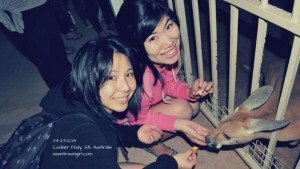 It is free to see the kangaroos in their backyard. We were given some fruits to feed them. Josephine explained to us that if there are any injured kangaroos or small animals that require their help, they will look after them until they are capable of surviving themselves (either by phone consultations or pick them up from rural areas). The size of area they need to look after is similar to the size of Germany. 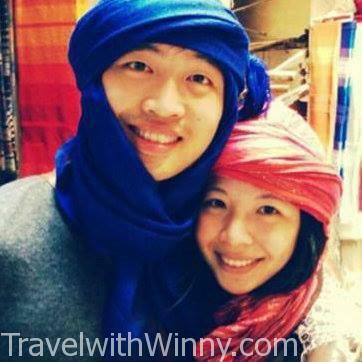 Coober Pedy has a population of 1695 according to 2011 census from Wikipedia. It is 846km north of Adelaide on the Stuart Highway. Not only it is famous for the amount of precious opals mined here, it is also famous for underground residences called “dugouts”. It helps to avoid the heat during the day and keeps the house warm at night. The name of this town is actually from the Aboriginal word “kupa-piti” which means “white man’s holes”. Leith said the underground houses used to cost only AUD$20,000, now probably need AUD$200,000.